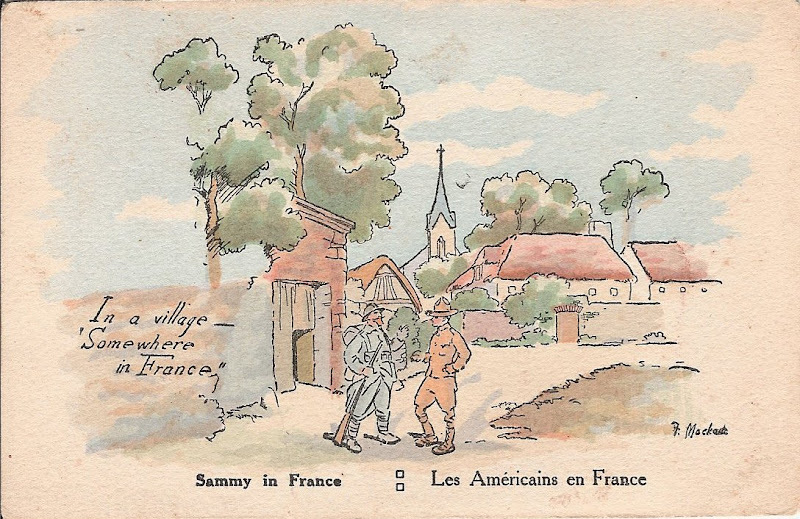 Fergus Mackain's Wartime Sketches: More “Sammy In France” cards discovered! More “Sammy In France” cards discovered! Another exciting day for FMSketches as two previously unknown Mackain postcards have been discovered by the well-known collector John Place. 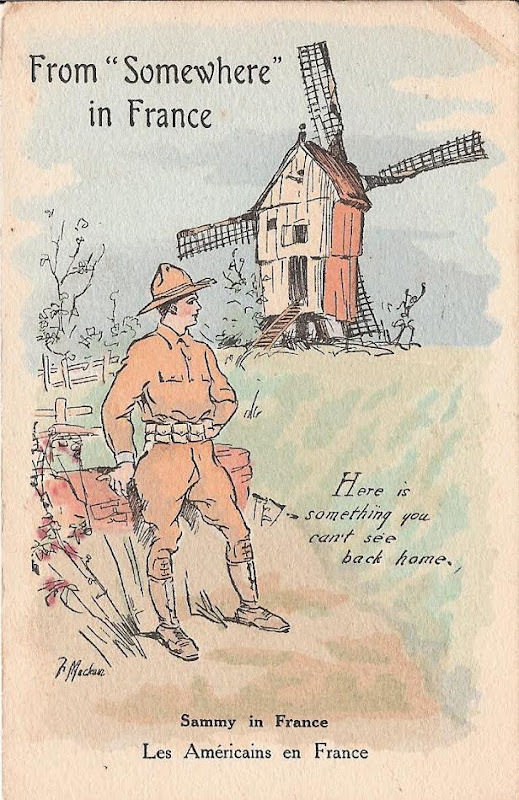 The cards, one of which shows an American “Sammy” talking to a French “Poilus” in a pleasant village setting, and the other of a Sammy admiring a French windmill, are part of the “Sammy In France / Les Américains en France” series catalogued under “Other Postcards”). It remains to be seen whether this now completes a six-set of cards in the “Sammy In France” series, but for now we believe there are no others (but we would love to be proven wrong! ).